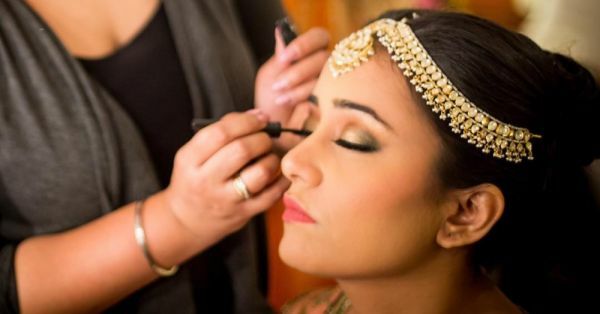 15 Thoughts Every Bride Has While Getting Her Bridal Makeup Done! Being a bride requires a lot of patience and it all starts from the makeup table. At least that's what I learnt when I was getting my makeup done for my big day. "I hope he doesn't mess it up", is the first thought every bride gets. I got it too! 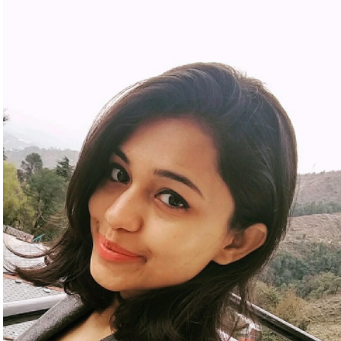 Even if I booked the best bridal makeup artist in Kolkata, I was still anxious about the final look as it was the first time my face would be exposed to so many chemicals. I'm sure I am not the only one who doesn't like makeup! Here are all the random weird thoughts that crossed my mind while I was getting decked up. 1. "I hope the MUA doesn't over do it and makes me look like a cake." 2. "How long do I need to sit in the same posture? It's just started and I already feel tired!" 3. "Wait! What base is he using? Oh! He is using M.A.C and Bobby Brown. Thank god!" 4. "How many more layers is he going to put? Does my skin really need all that concealer? I thought I had good skin!" 5. "I hope he remembers my instructions to keep it as minimal as possible." 6. "Wait! Is the photographer taking shots of my makeup getting done? Can he please not wait till I have at least the mascara on?!" 7. "These makeup table lights are making me blind. Gosh, it's hitting my nerves. I don't want to end up with a headache minutes before I walk down the aisle"
8. "So now he's drawing my eyes. Should I tell him that the eyeshadow feels too much? Or will that be rude?" 9. "I'm so hungry. I wish I could munch on some snacks. Where the hell are my friends when I need them?" 10. "How will Rohan* react when he sees me with all that makeup?!" 11. "Okay, now I really can't wait for it to get over so I can finally see how I look!" 12. "This banarasi is so heavy, and I need to pee really bad! Argh." 13. "Ooohhh... I LOVE that lip colour! I need to buy it asap!" 14. "And my bun! It's exactly what I wanted. How did he manage to transform my dull, frizzy hair into that?! But those pins genuinely hurt."